On December 29, 1935, Antoine de Saint-Exupery took off in an attempt at a long distance flight from Paris to Saigon. He crashed in the Desert many hours later stranded with his co pilot Prevot. Later he recounted his experience in a book called Wind, Sand and Stars and this story forms the basis of the Tick Tock album. 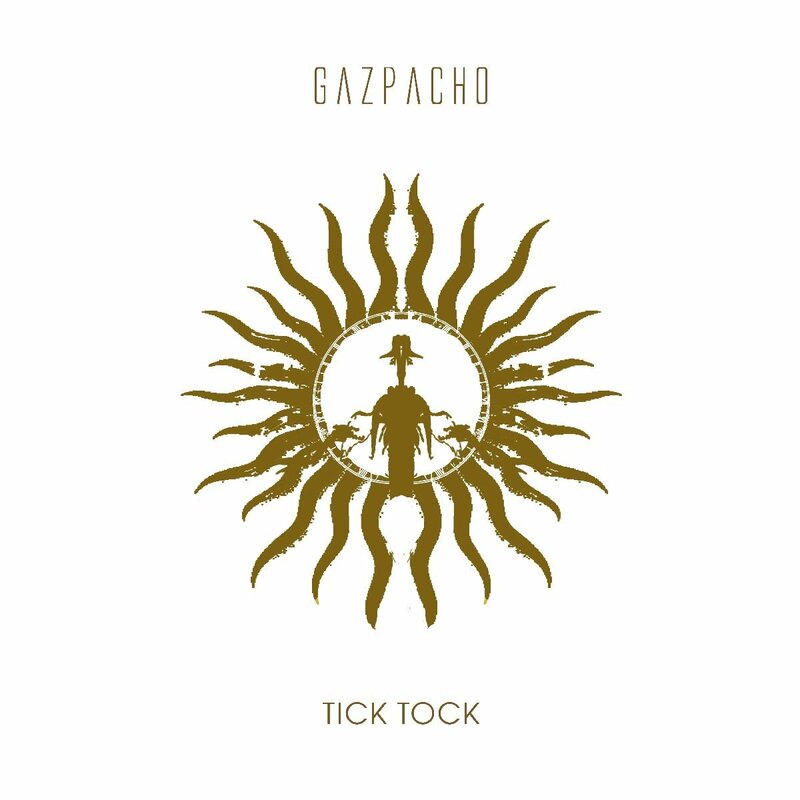 After Night the monotonus repetition of a single bar of music that is changed by the chords and the songs on top of it still held a seductive charm for Gazpacho and though Night dabbled in this, Tick Tock wallows. The metaphor of a desert walk represented by a ticking clock may not be sublime but by golly the music is in moments. The apathetic underscore of a sweltering almost synthy loop which really is a b4 organ played through a guitar amp and a sequencer brings at first boredom then desperation then more boredom and then something happens and you get sucked into a glassy mood. Almost as if you were walking a long and lonely walk in the desert where there is only you, the stars, wind and sand, the sound of your footsteps softened by the burning sand and heard only through the bones of the body.